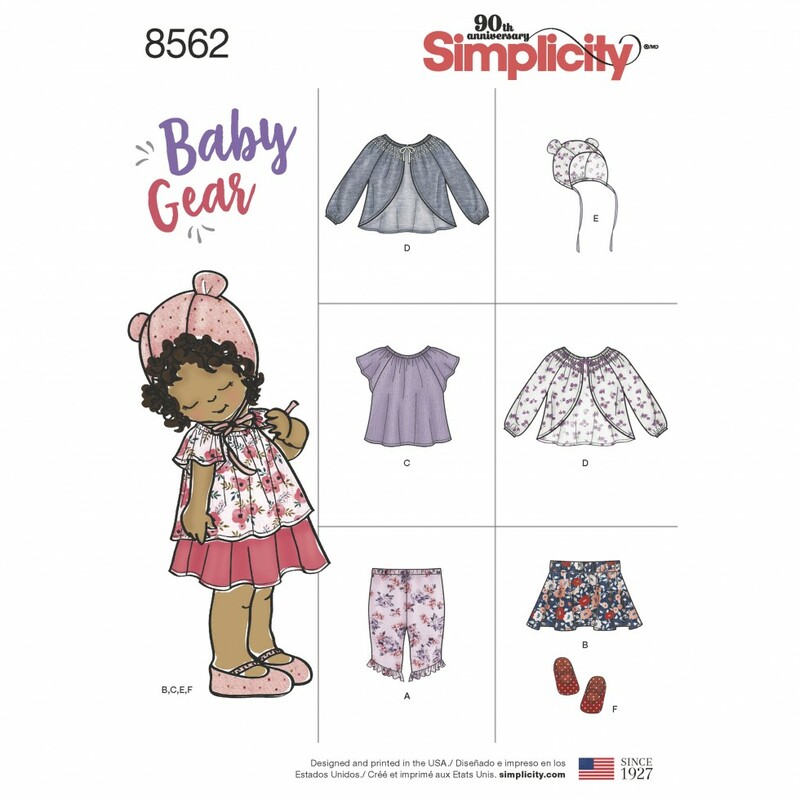 Baby Gear patterns by Simplicity gives you the essentials in one package! Includes jacket, top, skirt, capri leggings, bonnet in three sizes and shoes in four sizes. Build your baby the best wardrobe using these fun and updated pieces. Simplicity pattern and sewing instructions.